Did y ou know that Revlon actually started as a nailpolish comp any? 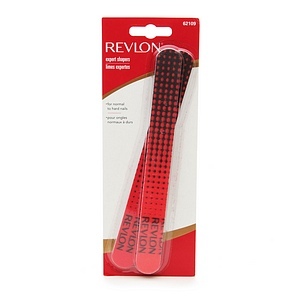 This week, we are giving away our favorite shade of Revlon Top Speed Enamel, Jelly, and Revlon Expert Shapers! To enter, just comment below with a fact about Revlon’s history. Painting your nails takes no time at all but waiting for them to dry can really be a drag. 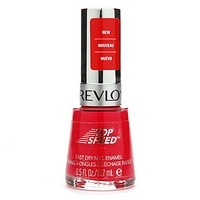 We tried Revlon’s Top Speed Nail Enamel, which promises to dry in 60 seconds, and thought it was a great formula. With a base coat and two coats with polish (doesn’t everyone use two coats?) it took longer than one minute to properly dry. But the polish definitely set in record time. The colors in this line of nail polish are very rich. Our favorite was Jelly, which is a vibrant pink shade.